Despite sophomoric claims that I’m a “denier”, I’ve never disputed that CO2 has a role in warming via retardation of IR transfer from the surface to the top of the atmosphere. Read the following to see if you agree with his statement. Anybody whom (sic) thinks the human race has more effect on our global energy balance than an active sun does is just deluding themselves. There’s a monetary bet out there: two Russian solar scientists are so certain that its the sun driving climate change and nothing else, they have put down a $10,000 bet with a prominent climate change scientist saying we’ll see a cooler of the earth by about 2015. I want some of that action. Bets anyone? I don’t think it has anything to do with man made greenhouse gases. There’s growing sentiment that CO2 theory may very well be a red herring. Yeah, its the sun, stupid. Anthony on when global warming "came from"
But global warming actually started much sooner than that, after the Mariner probes landed on Venus in 1963 and 1964. At that time, Venus had never been explored and they didn't know what the atmospheric composition was. Most of the atmosphere, about 90 percent of it, is made up of carbon dioxide. This caused a number of prominent scientists, Carl Sagan included, to postulate that, ‘Oh, it must be greenhouse effect.' So Venus is the runaway greenhouse effect. Anthony only missed by a few decades - well quite a few I suppose. At the time, he'd probably never heard of Jean-Baptiste Joseph Fourier or John Tyndall, or Svante Arrhenius, or Guy Stewart Callendar, or Gilbert Plass. Or this newspaper article from a rural town in Australia - in 1884. Or even this newspaper article from 1957. He would do well to read Spencer Weart's The Discovery of Global Warming. That got me to realize that a lot of the temperature rise we were seeing was attributable to human activity but in the form of local environment changes - asphalt, concrete, buildings, etc. - it's a diff environment than grassland, or farmland. When you filter those out you find an actual net cooling trend. Anthony doesn't have to "go to the library"! I agree temperatures have gone up but I'm not sure how much is related to CO2 and how much is due to localized man made conditions. I have no doubt man has had an effect on localized temperatures - absolutely that's true. One of the things going on is that the sun's magnetic field is changing relative to its internal activity. The sun's magnetic field modulates the earth's magnetosphere. If the earth's magnetic field gets modulated, it changes the way cosmic rays enter our atmosphere. Cosmic rays are a natural occurrence. Their going through our bodies right this second... Earth's magnetic field will deflect cosmic rays. Sometimes depending on the angle of inclination, it will allow a cosmic ray to go through. Cosmic rays of and by themselves aren't enough to cause global warming. They don't have enough net energy in them to do anything - but this goes back to my training in nuclear engineering. Around 1990, on the 20th anniversary of Earth Day, I actually did a very, very pro-environment, pro-global warming thing. I did it two years in a row. [It] was like a combination Earth Day / Arbor Day thing. I put together a multimedia presentation, and had it delivered to all CBS television affiliates in the country. I also got it into a few NBC affiliates too. The program was a three-part series about global warming, about trees, about sequestering carbon in trees and why it's a good idea to plant more trees. Then I provided a way for them to write in and they could get Colorado Blue Spruce seeds. According to the Arbor Day foundation, a quarter of a million trees were planted as a result. So I was green back then and I'm still green in some ways. It was, what I thought was compelling evidence that Co2 was the culprit here and we should do something about it. So I was way ahead of the curve back then, even before Gore. We have solar flares that produce giant burst of protons, gamma rays, x rays, all kinds of things into space and a lot of those hit Earth. I began to see there was this tremendously active environment in space that we just weren't aware of. Coal has been professed to be a dirty fuel and it is in many ways, with soot and asthma. Solar would generate new energy for California's burgeoning population. When your ability to generate new energy is being limited you've got to look ahead. The simplest way to do it is to have thousands of energy generators on people's roofs. I'm all for it, not only because it makes good economic sense but it also makes good environmental sense too. 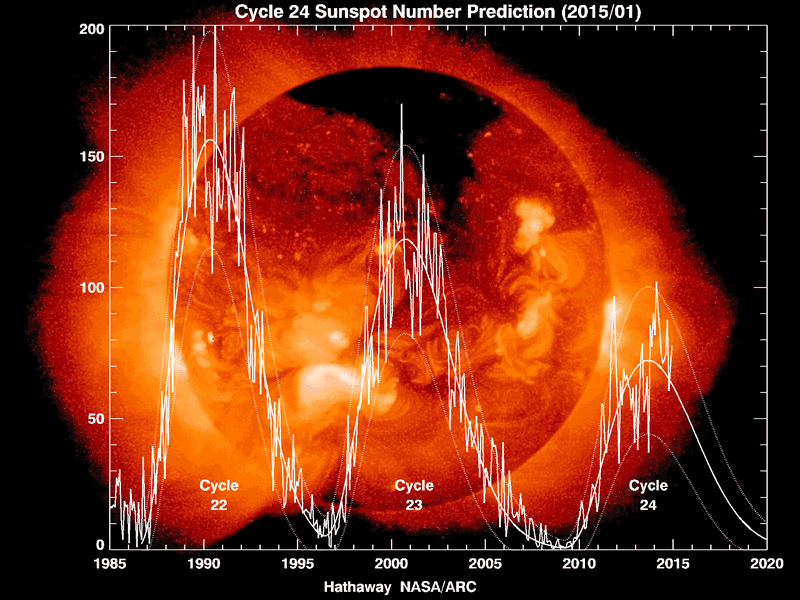 If it so happens that 10 years from now if the solar cycle does start tipping down and we still see global temperatures go up on a global average, I won't be so proud to stand up and say I was wrong. But I believe I'll be proven right. Well, it's almost ten years later - is Anthony going to stand up and say he was wrong? No sign of that so far. 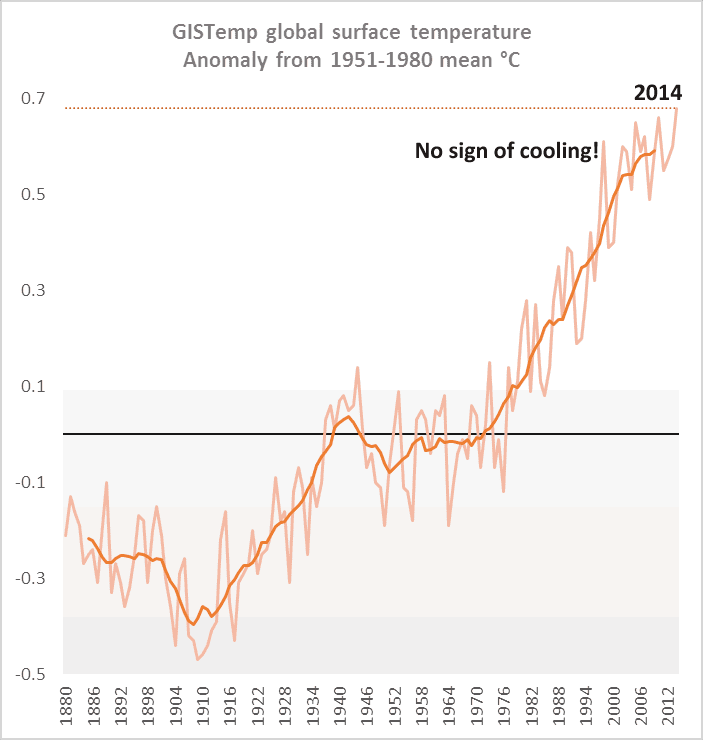 For the record, we don't agree with Anthony Watts' views on global warming. We think he is culturally biased against the environmental movement and because of that, has blinded himself to the reality that global warming is a product of an unsustainable and self-destructive way of life. Climate change is a threat to human existence and is something we need to take action against now. We feel the need to say that this week because we've already heard protests from a local climate expert, who we asked to counter Watts in this issue. The expert declined because, he said that printing Watts' views will only encourage him, lending him a credibility he doesn't deserve. Whatever it is, it has nothing to do with “global warming”. Hi Sou, I'm Sushi, longtime lurker and bigtime fan. You should check out Watt's big lie about supposed cold and a snow storm in Huntington Beach California, which was actually a thunderstorm and hail. It's pretty brazen, and so stupid. The temperature was 48 degrees! He admits at the end that "observers", read everyone else, say it was hail, but concludes that it doesn't matter what it was, because there's no way it could have anything to do with global warming. You should do a piece on this one, I think. With a few notable exceptions, most "Skeptics" have long since realised that explicit rejection of anthropogenic greenhouse gas warming exposes them for the dribbling loons they are and have retreated to merely implicitly rejecting it in the arguments they make (sea level isn't rising, ice caps aren't melting , etc; things that people who actually accept the science). Lukewarmers are willing to accept these observations, and I expect more and more "Skeptics" to adopt this position as the weight of evidence continues to increase, but they demonstrate their own particular brand of bad faith with their refusal to discuss impacts beyond the first doubling of carbon dioxide. Now if I’m wrong, and I see compelling and undisputable evidence (not models or projections) that man made CO2 is the culprit and nothing else, I’ll be happy to stand up in the middle of city plaza and announce "I was wrong". I expect I’ll know the answer by about January to March 2018, when its expected that solar cycle 24 will be over, and temperatures on earth are postulated to drop. The year end world climate summaries will be published then. Assuming I’m still around, I’ll likely sound off in City Plaza one way or another. By then we’ll have some shade.